Please enter the Verification Code in the box below to sign up. 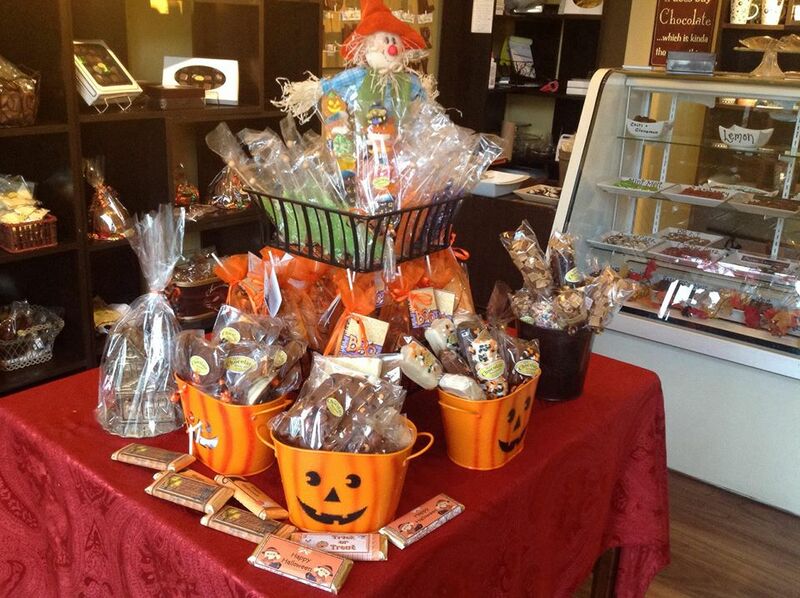 J & J's Chocolate Sensations is the place to go when normal Halloween candy is not exactly what you want. We have special loot bags, halloween themed chocolate suckers, marshmallows on a stick decorated with halloween colours, candy kabobs with ghosts and witches, and chocolate bars for that special trick-or-treator. Here are some of the candies that are used on our candy kabobs! Our centre table decorated with all of our Hallowe'en treats! Yum! 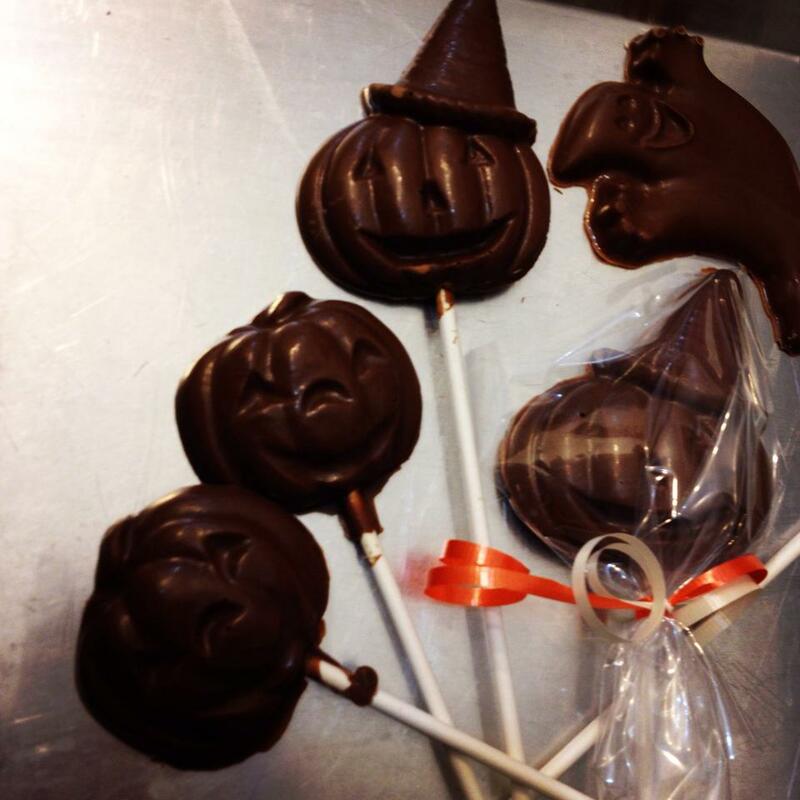 Some of our Hallowe'en inspired chocolate suckers. 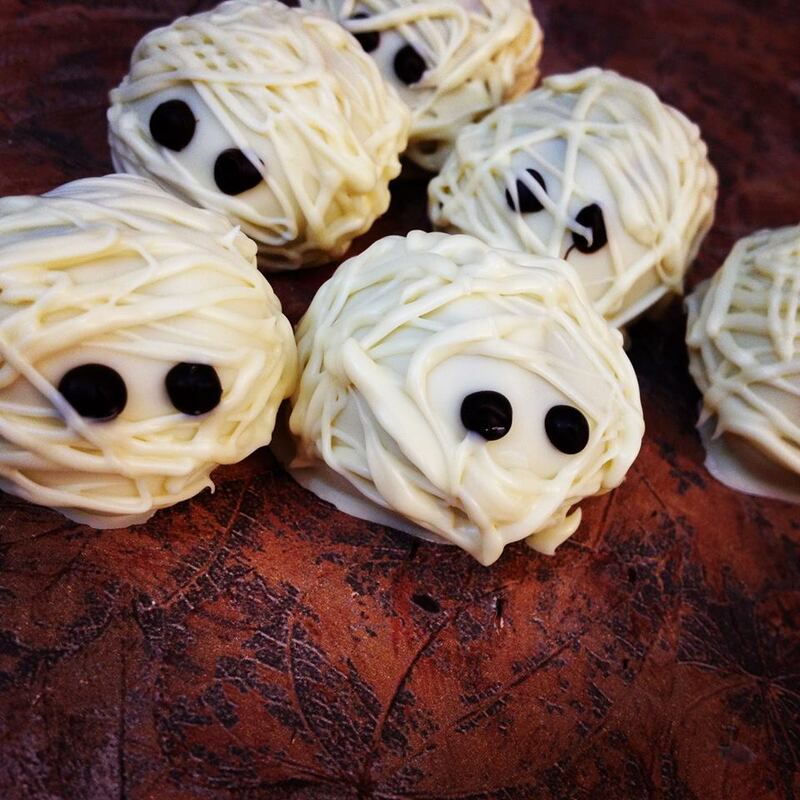 These are our hand-made and hand-decorated mummy truffles! We weren't always big fans of mummies, but these are too adorable to be afraid of. 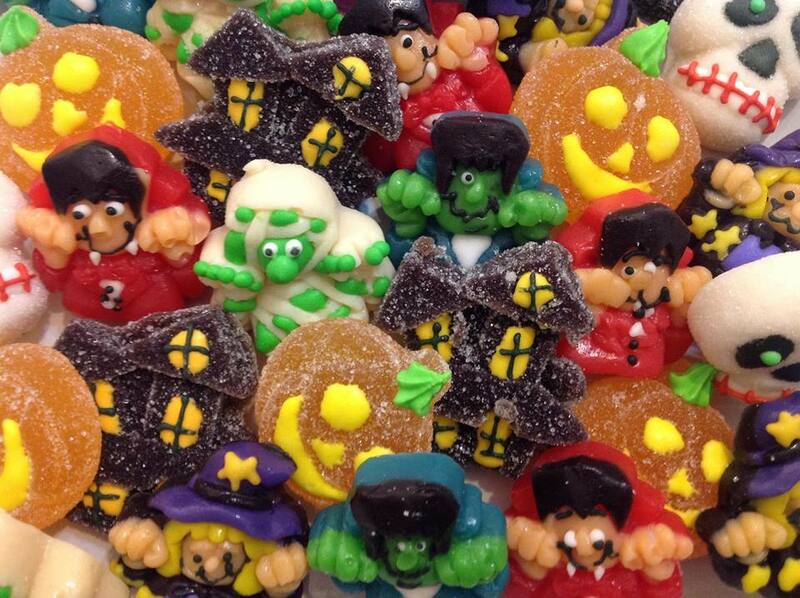 Come on into the shop and see what other treats we have to offer! We're more into treats than tricks.